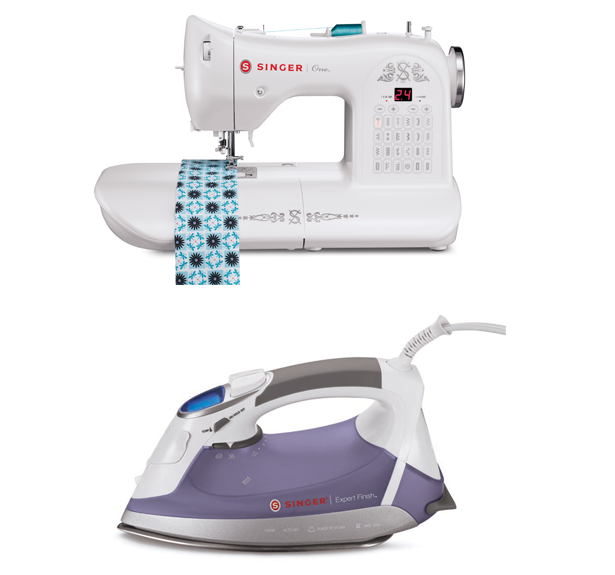 Summer Sewing Challenge: Win a Sewing Machine from SINGER! We have teamed up with SINGER for this fun Summer Sewing Challenge! Create a new favorite summer outfit, whether it’s one you wear for a day on the beach, brunch on your favorite restaurant patio, or a night on the town, and enter it for a chance to win a brand new sewing machine! The grand prize winner will receive the new retro SINGER One™. The SINGER One™ sewing machine is the first in a new series of machines from SINGER that combines the company’s iconic design cues with its easiest-to-use features giving the classic sewing machine a modern twist. The runner up will receive the Expert Finish iron from SINGER. This pattern may be from your collection of BurdaStyle or burda style magazine patterns or newly acquired but it has to be a pattern available in our Pattern Store or from The BurdaStyle Sewing Handbook. Each project submitted must include the text “Summer Sewing Challenge” in the title. This project must be a new project, never previously posted on BurdaStyle.com and to be eligible, the project must link back to the pattern from which you based the project. This is easily done in the uploading process. For more information on how to post a project, click here. All submissions to the challenge must be posted by Sunday, August 5, 2012 at 5:00pm EST. 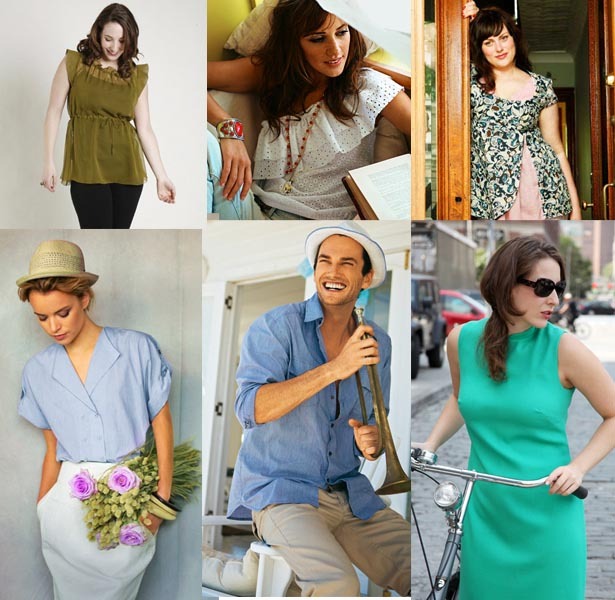 On Tuesday, August 7, 2012 the team at BurdaStyle will select and post 10 finalists in a slideshow in the Gallery. There will also be an announcement in that day’s newsletter as well as on the homepage. Once the top ten submissions are posted we open up the voting to the BurdaStyle member community! The voting will close at 5pm EST on August 13th and the winner will be the finalist with the most votes! What is the BurdaStyle Team looking for when choosing the 10 finalists? Create an outfit that shows off your personality, from the materials to the style of garment(s) you choose. We encourage you to alter or embellish your garment to create a truly unique variation of the BurdaStyle or burda style magazine pattern used. Show off your attention to detail! Make sure your beautiful outfit gets the attention it deserves through photography and styling. Discover all of the rules for this contest here. If you are looking for a pattern browse our Pattern Store and don’t forget to check out our selection of FREE patterns. 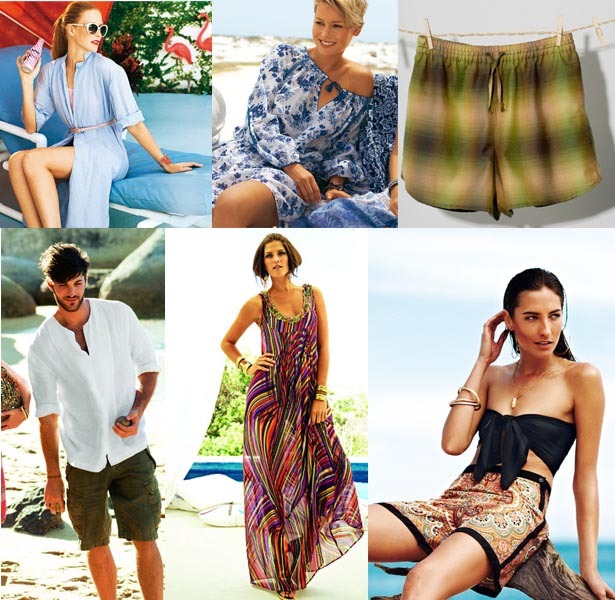 We have provided you with links to some of our favorite summer patterns below but feel free to use another pattern of your liking, whether it is one you have been waiting to use from your BurdaStyle and burda style magazine collection or newly acquired, just make sure it can be found in our Pattern Store. The outfit you choose to make can be intended for any time of day or event as long as it is summer appropriate. Remember. To be considered for the Summer Sewing Challenge and win the SINGER One projects must be posted by Sunday, August 5, 2012 at 5:00pm EST and each project must include the text “Summer Sewing Challenge” in the title and be linked to the BurdaStyle or burda style magazine pattern used. The project also must be a new project, never previously posted on BurdaStyle. To win you must be a North American resident. The contest parameters state that a pattern must be available in the BurdaStyle pattern store or in the Handbook. Does this mean a) user-contributed patterns posted to BurdaStyle are not allowed and b) Burda paper patterns are not allowed? Hi! I don’t live in North America, but I do have an address in the U.S. where my family lives. Can I enter the contest? And I do have a permanent residency in the U.S… Im not sure if that counts. danke für diese wunderschönen fotos incl. information!!! You can tell to singer that it’s narrow minded to do this challenge only for american resident, it’s not so difficult to send something all over the world. So I won’t sew for this challenge. I too wish this competition were international! However, I’ll be entering too for the fun, and all the good things that come from Burda – being inspired by other people’s entries and sewing to a deadline, in good company! Burda would benefit from working with sponsors who have a global presence (doesn’t Singer supply sewing machines to the UK market?) and so can provide prizes relevant to the territory of the winner. Just want to say thank you for holding this contest! It is really great that Burdastyle hosts these contests and I hope that everybody’s negative comments won’t inhibit more fun in the future. Thanks again! Hey BurdaStyle there is a user that keeps popping up with their netetrader.com webpage that is totally inappropriate. I have reported it a number of times. Maybe everyone here should start writing in about that. As far as the competition goes, I think its a great idea. I won the Vintage Modern Contest Community Choice pick and I still have not yet received my prize from Singer. This comment was deleted by the author. You might want to frame this as a question so that Burdastyle gives you a response on it). What a bummer I have just read this is a North Americian competition. I have already cut-out & started sewing a summer dress before I noticed this. Its winter here in New Zealand and I was going to brave the elements in a summer dress to enter. I love Burdastyle & Singer ( I have a Futura CE250), I hope there are alot more INTERNATIONAL Comps in the future. I will post my entry anyway, for fun. This is such a fun contest! Thanks for hosting it. Now I’ve got my thinking cap on – can’t wait to get started! I am so surprised to see all of the negative comments regarding this contest. No one is required to enter, and not all contests are for everyone. There are plenty of websites that offer sewing challenges. If one of them offers a plus-size challenge or children’s challenge, I’m not going to complain that I can’t enter. That being said, if I don’t care for the prize, I don’t enter the challenge. Of course, entering challenges is usually just a motivator for me. The only time it would be an issue is if I actually won. In addition to the personal growth that comes from a contest, there is the community spirit and camaraderie that comes along with it- shouldn’t we be happy for that? It’s not really that the competition is limited to certain people only that bothers me personally. It’s that it is only said in the fine print or at the very end of an article. For example, it could’ve easily been included in the section on how to enter or “What is the BurdaStyle Team looking for when choosing the 10 finalists?” but instead it’s after all the pictures and nearly the last thing in the post. If it were clear from the start, it wouldn’t get one’s hopes up and then crush them.